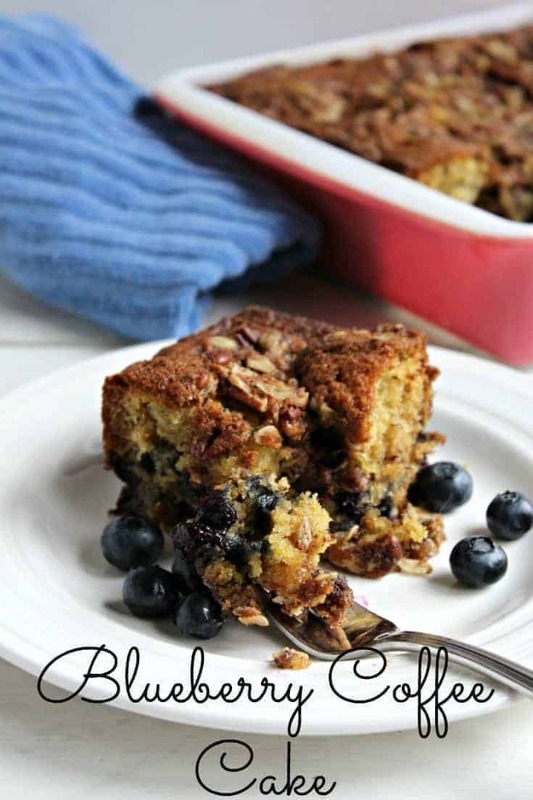 Blueberry Banana Coffee Cake with Pecan Crumble Topping! Sometimes life just doesn’t get much better… especially when it involves a delicious home baked good! Maybe I just love delicious things and they make everything seem amazing! How can my dear children not know what a coffee cake is? No, there’s no coffee in it! You eat it with your coffee! Maybe I shouldn’t have told them. This coffee cake disappeared way too quickly….and we didn’t even have any coffee with the cake! Nope, we had it with a nice cold glass of milk! I guess since it disappeared so quickly I’ll just have to make another. Maybe I’d better make two coffee cakes! 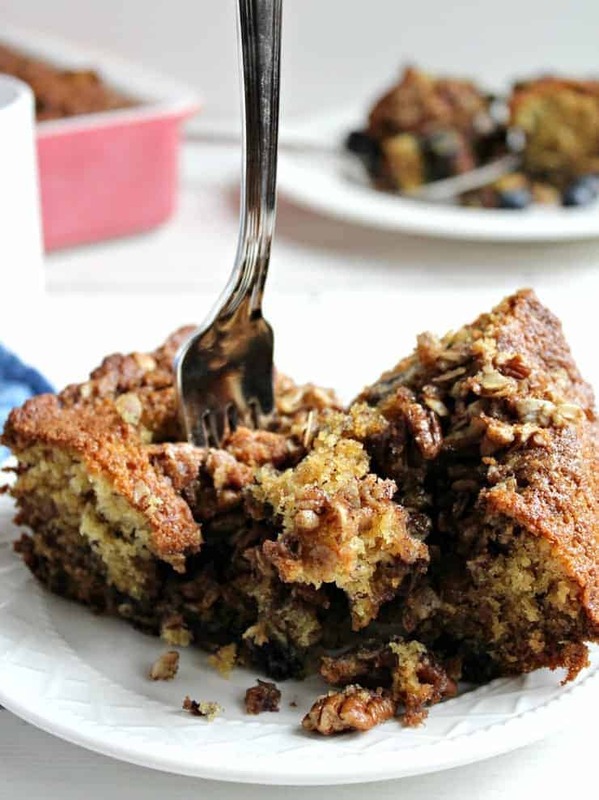 This coffee cake would be perfect for breakfast….not that I eat cake for breakfast, but this one would be really good. I think I could rationalize it since it has bananas, blueberries, an oatmeal topping and pecans! That says breakfast to me! And just think how this would be with that first cup coffee in the morning! When is your favorite time to each coffee cake? 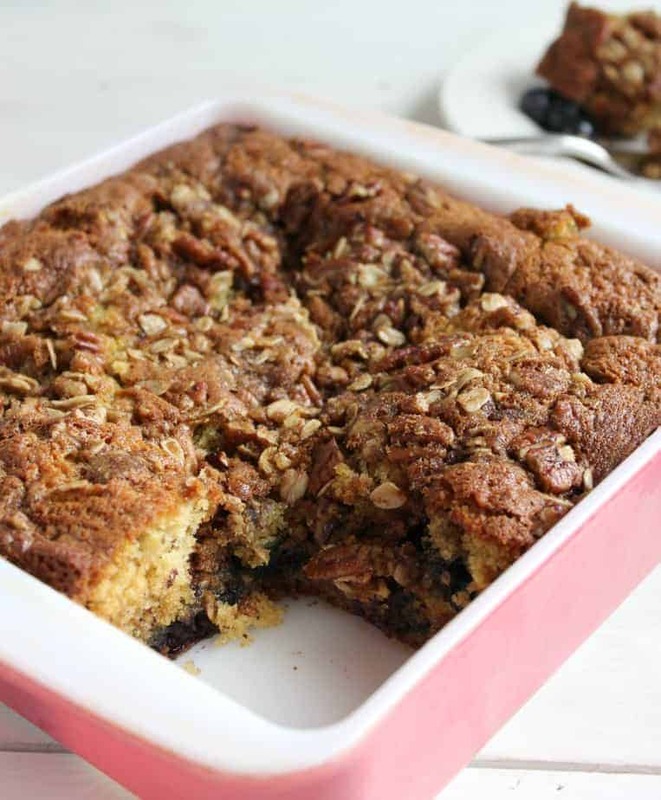 When is your favorite time to eat this Blueberry Banana Coffee Cake with Pecan Crumble Topping? Another coffee cake I like to make is Raspberry Almond Coffee Cake. 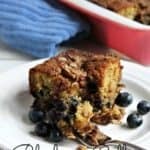 Moist coffee cake with fresh blueberries and pecans. In a bowl, combine sugar and butter. To make the topping mix sugar, cinnamon and oatmeal. Add melted butter and stir. Sprinkle topping over cake mixture. Bake at 350 degree oven for 45 minutes. 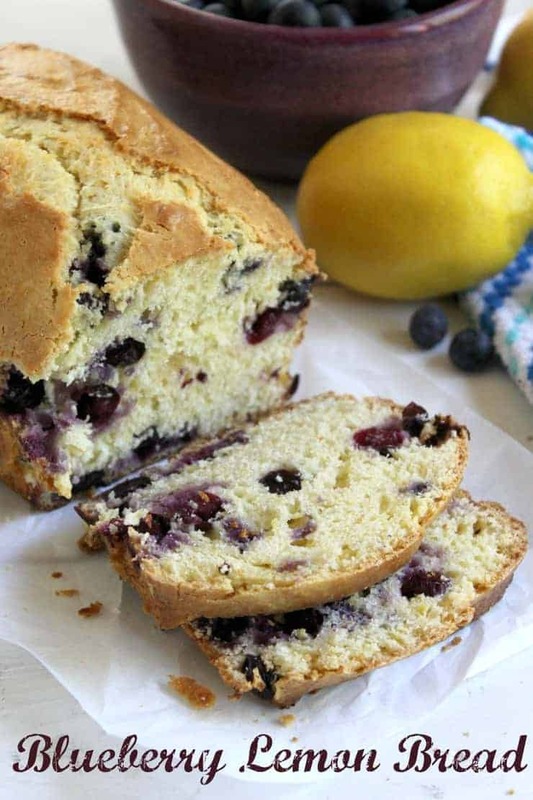 Blueberry is my all time favourite when it comes to baking so I will definitely be trying this recipe out! Loved the recipe! If I wanted to double it, (I have a big family), what pan size would you recommend? Hahahaha! That too cute! 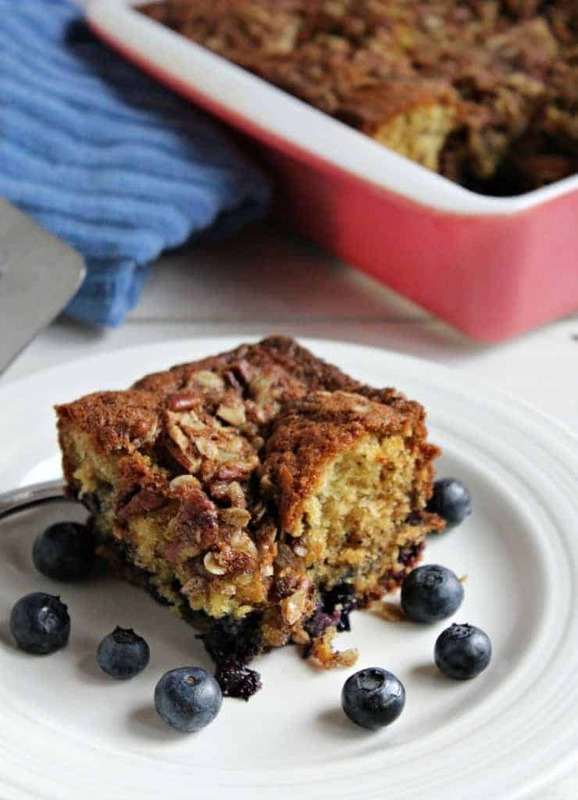 Although I’m thinking it would be pretty good if you did put a little coffee in it 😉 Making this soon because I’m all about blueberry (coffee) cakes with pecan crumb topping! 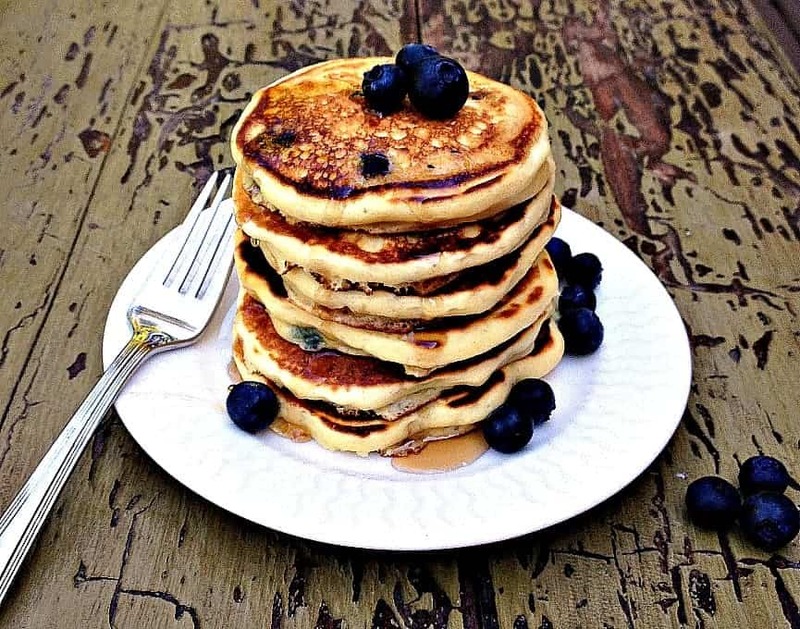 Blueberries are great in just about everything! Oh my goodness, Kathy! 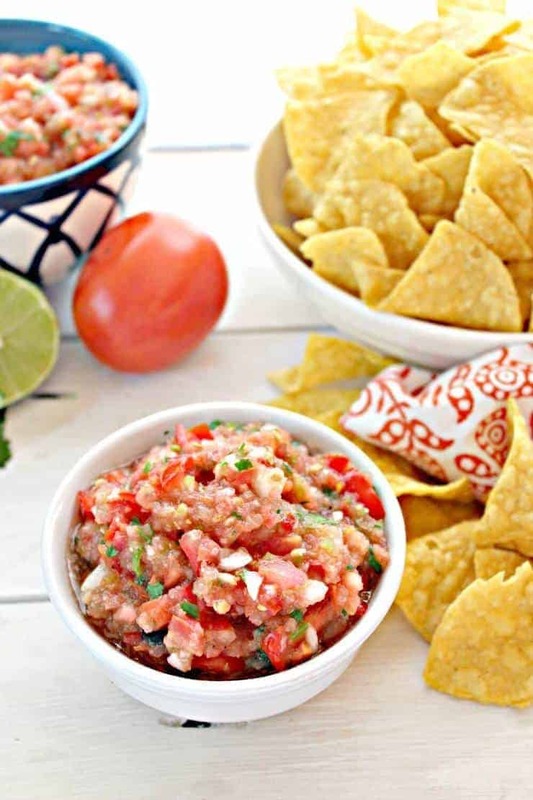 This topping looks so amazing 🙂 & your kids are too cute! 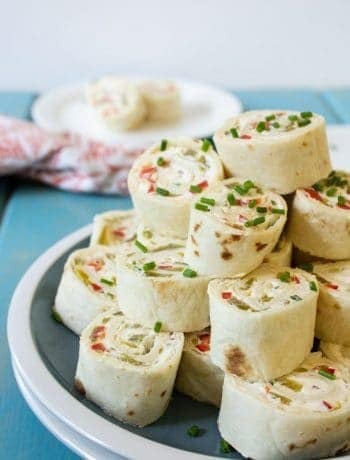 I could just make the topping and eat it all by itself! Really delicious! I need to make it again soon. Banana + blueberry + coffee? Count me in! Such a droolicious looking cake, Kathy. I want it now! Can’t wait to try! Don’t you love it when food can double for multiple meals? Breakfast and dessert! Yes!!! This sounds incredible! Love banana everything! This is my kind of breakfast. 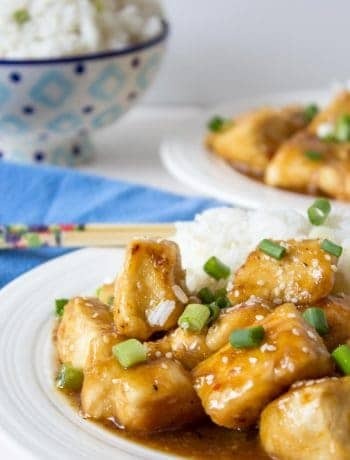 Banana adds such flavor and keeps everything moist. I love the crumble topping, the cake looks so delicious! YUM! I think I could eat just the crumble topping! 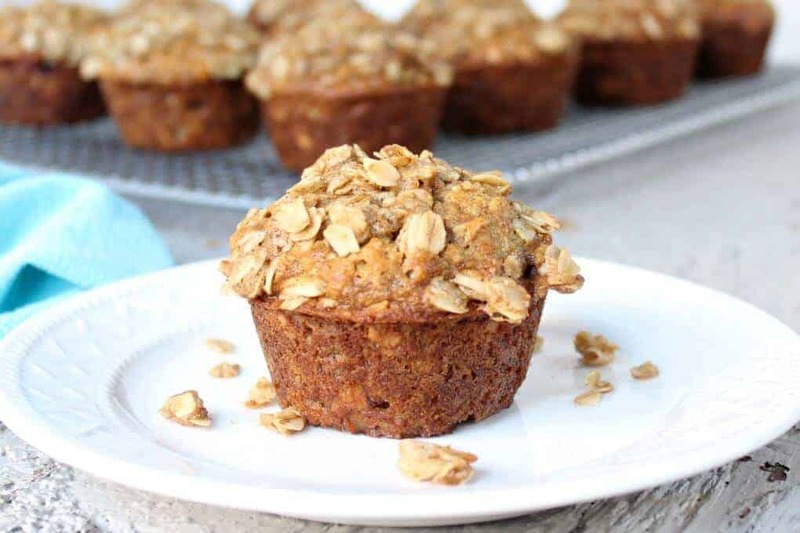 I love coffee cakes for my breakfast, and this one would be perfect! 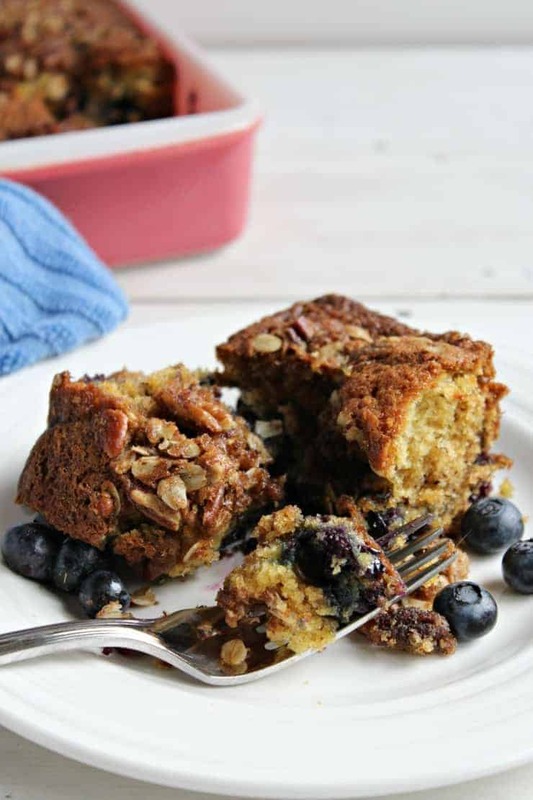 Love the banana blueberry flavors and the crunchy topping with oatmeal and pecans. Pinned it! Sometimes I nibble off the topping first and then eat the cake. The cake looks so sticky and delicious, I would love to try it! The bananas keep it moist! Sometimes I feel a bit guilty when I eat it for breakfast….I just need to stop feeling guilty! Totally breakfast food! Ha. Ha. Ha. You’re kids didn’t know what coffee cake was. I’ll be sure not to repeat that mistake. hehe. Looks delicous Kathy as always. Wish I had a piece (okay 2 pieces) to go with my coffee right now. They lead such a sheltered life! I could eat this coffee cake all day long Kathy! 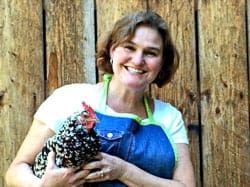 I bet your kids are hooked now! Well, the name does say coffee cake! What else are we to think??? Hahahaha! Maybe you should have let them believe there IS coffee in here… I always did think “coffee cake” was a little strange of a name for such a delicious cake, with no coffee in it. I’m a huge sucker for any coffee cake and this one looks delicious! Love love love the pecan crumble topping and blueberries with banana is fantastic. I could eat this entire cake for breakfast. Guess it would be safer to have this around with a few children to help me polish it off. 😉 Cheers, friend! Things always disappear faster with kids around. I thought the exact same thing about coffee cake when I was a kid! Now I wish SO much that I could have a taste of this one! I would love to have your coffee cake for breakfast! It looks delicious, Kathy. That pecan crumble topping sounds so good! It is wonderful for breakfast!